Smoke gets in your eyes, lungs, house, etc . . . what to do about it. Back in 2015 the valley filled with wildfire smoke and I began to find myself just on the edge of not being able to catch my breath. Since then I’ve learned that I have asthma and that knowledge has explained a lot. But simply knowing doesn’t give you protection from the smoke. The best advice for people with compromised breathing when things get this bad is ‘go somewhere else’. Well even if I could afford that (and I cannot) where in BC isn’t experiencing some amount of smoke in the air? IF you live in a house with forced air heating then you likely have a furnace filter and maybe even an integrated air scrubber. If that is the case I’d advise you to check your filter and replace it if necessary. Or if you have an electrostatic cleaner that requires cleaning – do that now. But what if you are like me and don’t have forced air heating? Or live in a multi-unit dwelling and have no control over that part of the infrastructure? Well back in 2015 I did some research and found out how to make my own air cleaner. It’s primitive but it works enough that the night I didn’t use it I woke up with a headache from all the crap I breathed all night. So here are my videos of my home-built air scrubber – I made another one yesterday Aug 12, 2018. The one below is the first, the one after shows how dirty the filter got in just 4 days . . .
One last note for you If you have a relatively later model car, truck, van or SUV you might find the air in there cleaner than the air in your house. 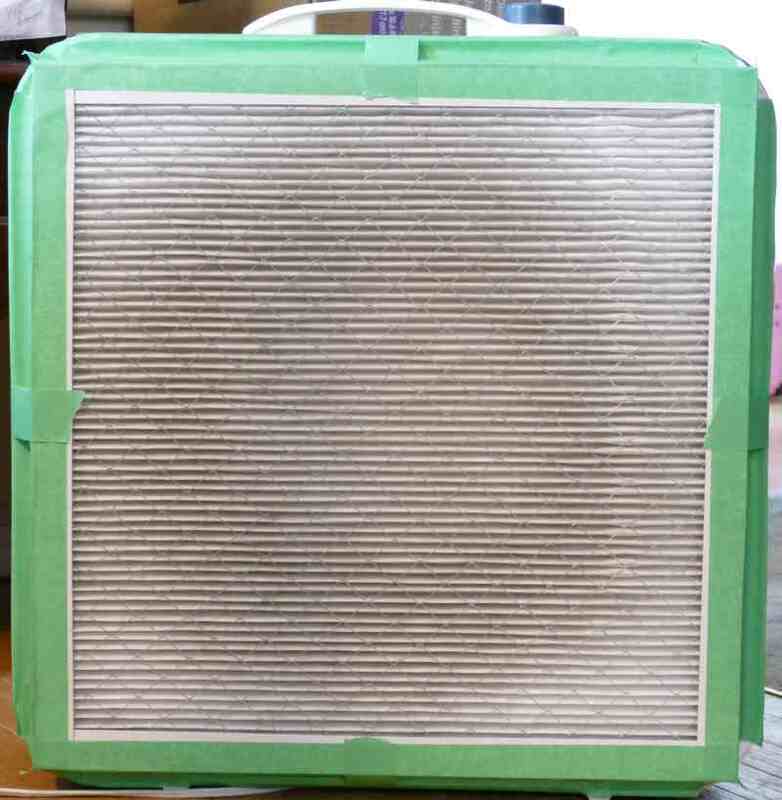 All modern vehicles have cabin air filter systems that try to clean the air feeding into the cabin. So if you’re desperate you might want to get in your vehicle, close all the windows and turn on the air system. Just don’t do that in your garage . . . This entry was posted in Fire and tagged air, asthma, breathing, filter, scrubber, smoke, wildfire on August 13, 2018 by gftvboss.